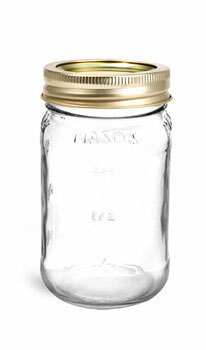 Clear glass mason jars with gold 2 piece canning lids can be used for a variety of products. 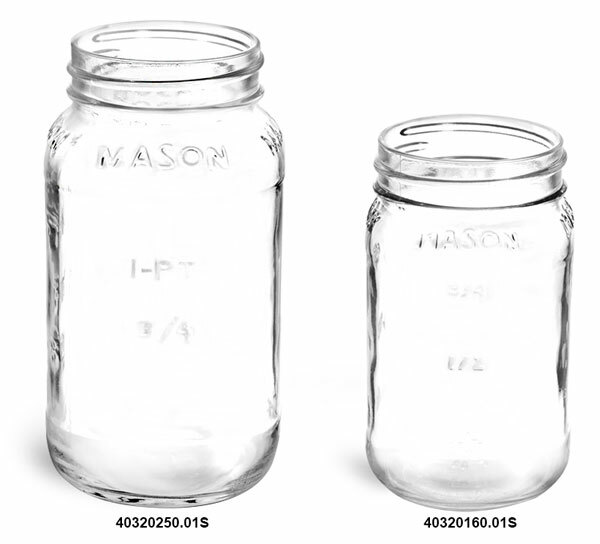 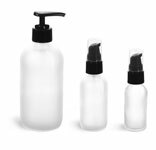 The 2 piece canning lid includes a plastisol lined inner lids, and threaded bands for a secure fit. Glass mason jars with gold caps could be used for canning or pickling various foods and ample space for labeling for a complete look.